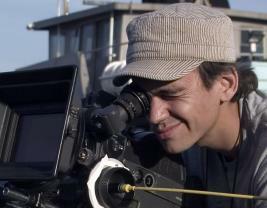 Kahlil is a Native Alaskan filmmaker and cinematographer. His recent clients include: Showtime, Discovery, History Channel, MTV, Yahoo!, Nikon Cameras, Telemundo, Interscope Records, MSNBC, Starz, and PBS. He shot the feature film Kumare which won the Audience Award at the 2011 SXSW Film Festival. Kahlil received his MFA in Film from UCLA and currently resides in Denver, Colorado with his wife, Mikiko and daughter Violet Sol.